Slovakia borders Hungary, Poland, Czech Republic, Austria and Ukraine. Although it has almost 5.5 million inhabitants and a territory of 49,035 km2, it is not even in the top 10 of most visited European countries. But after reading this article, I hope that you will consider a trip. Geography. The landscape of Slovakia is similar to Austria’s. The most important Slovak river, the Danube, connects the capital city Bratislava with the capital cities of two neighbouring countries – Vienna in Austria and Budapest in Hungary. In fact, Bratislava and Vienna are two of the closest capitals in the world, only 60 km apart, and in the 1930’s they were connected by a city tram. History. The first Slavs arrived here at the time of the Migration of Nations and, after decades of struggles, they succeeded in establishing the Great Moravian Empire in 833 AD, the first common state of the Slovak and Czech ancestors. After the empire's fall, Old Hungarian tribes invaded Slovakia and made it part of the Kingdom of Hungary for 1,000 years. A crucial period in Slovak history was the 19th century. For the first time the people formulated their own political programme and in 1843, codified the rules of the Slovak language and its script under the leadership of Ľudovít Štúr. In 1918, after the fall of Austro-Hungarian Empire, the Slovaks and the Czechs declared their wish to live together in an independent state and established the first Czecho-Slovak Republic on 28th October, 1918. After WWII, the communist party gradually seized power in the country and their communist dictatorship was overthrown only by the Velvet Revolution in 1989. The joint Czech/Slovak state then ended and the Slovak Republic was established on the 1st January 1993. Despite this split of common state, however, the relationship between the two countries remains very friendly, especially since our languages are very close. Trade and Development. After centuries of internal struggle between the nobles and their ruler, the Hungarian state was finally consolidated. Economic growth was finally possible especially due to the thriving mining towns. Banská Štiavnica, a centre for mining science, is also home to the Mining Academy, the first technical university in the world, founded in 1762. The Kremnica Mint, the oldest continuously-operating enterprise in the world, has been making coins since 1328 and reached its highest levels of production during the reign of the Empress Maria Theresa. Since we adopted the Euro in 2009, after joining the EU. in 2004, the Kremnica Mint (together with other Central and Eastern European countries) also manufactures Slovak Euro coins. Banská Štiavnica and Kremnica are both picturesque towns that have preserved their medieval atmosphere together with the harmony of nature, which attracts many tourists. Education and Investment. The first university of Slovakia, Academia Istropolitana, was established in 1467. Since then Universities have been established in several towns and the education system is free up to highest level. However, the economy is facing a lack of a technically educated labor force, due to the emphasis on machinery and automotive industries. After joining the EU, Slovakia attracted many foreign investors and this significantly accelerated the growth of GDP. Supported by massive economic reforms in the 1990’s, crucial investments flowed into other industries and the banking sector. This year the British car maker Jaguar Land Rover will open its manufacturing facility in Nitra, West Slovakia. Culture and Castles. Due to its geographical position, Slovakia has always been on important trade and cultural routes in the region, and influences of Western as well as Eastern cultures or religions can be detected. Most Slovaks are Roman Catholics (62%), but tolerate other religions. In Slovakia, you can find a Northern discipline along with Southern temperament, and Western rationality with Eastern emotionality. We experience our joys, successes, disappointments and sorrows with emotions. We are sincere, friendly, open, hearty, generous, but also touchy and we differ from our neighbouring nations. But in the end, we are a country of friends. Folk crafts, costumes, music and dances in Slovakia are passed on from one generation to another, and each valley has different cultural traditions and folklore of which Slovaks are very proud. Many folklore festivals and performances are having a renaissance. For example, a Slovak overtone flute called "fujara" and the Music of Terchova were included in UNESCO World Heritage. The first written mention of Slovakia’s oldest castle, Devín, dates back to the year 868. Spiš Castle is a UNESCO World Heritage site and also one of the ten largest castles in the world. Altogether, Slovakia has as many as 220 castles and castle ruins! Not enough? Then add its 425 chateaus to the mix. In the eastern part of the country, wooden churches represent specific samples of sacred architecture. Their folk builders expressed the perfect harmony of the human soul with nature, and the effort to disengage from earthly worries. Among the oldest are the Gothic wooden churches in Hervartov and Tvrdošín. Nature. The diversity of nature in Slovakia is one of the biggest attractions. We have nine national parks with large forests full of life, crystal clear glacial lakes, deep valleys and mysterious gorges, and more than 6,200 caves and chasms. The High and Low Tatras are home to many endangered animal species such as the Tatra Chamois, which is a completely unique chamois species that evolved over thousands of years totally isolated after the end of the Ice Ages. Hiking in High Tatras you may see them climbing the high rocks with elegance and ease. Many say that the European wilderness ceased to exist centuries ago, but in the Poloniny National Park, on the triangular border with Poland and Ukraine, there is an untouched wild forest called the Wolf Mountain with trees that are more than 1,000 years old. the Slovak people is hiking or just walking in the forest. The Carpathian forests are also home to thousands of bears, increasing numbers of wolves and lynxes, beavers, wild horses and the huge, prehistoric, European bison - of which there are only 1,000 left in the world. After an exhausting trek or on hot days, people have the opportunity to take refreshment in the many mineral springs or cute Spas that are widespread throughout Slovakia. Officially there are 1,657 springs registered. Wine Time. Traditionally Slovaks drink mostly beer and schnapps, but Slovak wine has been improving in quality since the private wineries began. There are six wine-growing regions and eight wine routes in Slovakia with the Tokaj wine being rightly referred to as the King of wines. One rarity of the Tokaj wine road is the medieval Tokaj wine cellars carved into volcanic, “tufa” rock. These cellars, some carved to a depth of 16 meters, date back to the Turkish wars and, to some extent, were built as a refuge from marauding troops. In Slovakia, you might discover many other interesting or mysterious places, taste traditional Slovak food-dumplings with sheep cheese and bacon, or go shopping on Sundays in Bratislava’s posh shopping centres. But don’t look for the sea! You would not find the sea! Sweden is a beautiful country with forests and lakes everywhere. The capital Stockholm was built on 14 islands and is often referred to as the ‘Venice of the North’. It is also a large country - 5 times larger than Austria. Of 10 million inhabitants, 1.5 million were born outside Sweden. The population density, however, is only 22 inhabitants per square kilometer. Swedes are used to a lot of space and like solitude, peace and quiet. Swedes love nature and most of them dream of living in a small red wooden cottage in the forest, next to a lake (at least in the summer). Sweden is a constitutional Monarchy with kings dating back to the 10th century. The present King, Karl VXI Gustaf is a descendant of Sweden was a Catholic country from the Middle Ages until the 15th century. Before that time people believed in the Norse Gods the most well-known are probably Odin and Thor. The Reformation in the 16th century transformed Sweden from Catholicism to Protestantism. The most important relic from Catholic times is Santa Lucia who was a Saint from Sicily. She is celebrated all over the country on the 13th of December each year. The Swedish language is, like English and German, a West Germanic language, almost mutually intelligible with Danish and Norwegian. It can be assumed that all the Vikings could understand each other. Nowadays, most Swedes can understand Danish and Norwegian rather well, but not Icelandic. Sweden is known for its social equality and openness. Matters, like for instance, income and age are not taboo in Sweden and you can easily ask people how much they earn and how old they are, something that would not be appreciated in many other countries! Salaries and taxes paid by Swedes are made public every year by the tax authorities. You cannot hide your age either because every Swedish citizen has a so called ‘personal number’ in which you can see a person’s date of birth, gender and place of birth. This number is more important than your name. You can easily change your name but never your personal number. Equality between women and men has a long tradition in Sweden. For instance, married couples are taxed separately, age of retirement is the same, widow’s and widower’s pensions do not exist, paternity leave is mandatory, all schools are co-ed. Equality between the sexes is also reflected in the language. Recently, a new pronoun has been introduced and is now gradually being used in media and official documents. The pronoun is ‘hen’ which can refer to a man or a woman. The male pronoun is ‘han’ and the female pronoun is ‘hon’. Also in the Swedish Church there is an effort to be equal. The Archbishop is a woman. Most bishops are women. Among priests in Sweden 50 per cent are men and 50 per cent are women. Sweden is a neutral country and stayed out of both World Wars. It was not always a peace-loving country, though. During the 17th century it fought the Catholics in the 30-year war. During that war the Swedish King Gustaf II Adolf was killed. His daughter Kristina then became Queen of Sweden. However, she abdicated, converted to Catholicism and moved to Rome. If her father would have known - having sacrificed his life to fight the Catholics! Sweden also fought seven wars with Denmark and several wars with Russia, winning some and losing some. Presently, Sweden, like many other countries, is undergoing a lot of changes. The political situation is not as clear any more. The results of the parliamentary elections in September 2018, have led to a political stalemate. The contentious issue is about a party called ‘Sweden Democrats’ - a party that wants to cut down on immigration. They got almost 20 per cent of the votes but the other parties refuse to cooperate with them. Since 2015 Sweden has accepted more asylum-seekers per capita than any other European country and it has led to a lot of tension between the parties and also between its citizens. Freedom of religion is regulated by law. Religion has not been an issue in Sweden for hundreds of years, but the new situation in the world has changed that - also in Sweden. Hopefully, Sweden will be able to keep its tradition of consensus-building among political parties and find a solution that everybody will be able to live with. Hi everybody! My name is Gundega Vāvere- Mikute and I am a proud Latvian! We, Latvians, tend to think about Latvia as a small country, but no… from a statistical point of view it is a middle sized country with a territory of 64,589 km2 and around 2 million inhabitants. In comparison, Latvia’s territory is just a bit smaller than Austria but with four and a half times fewer inhabitants. As you can imagine, Latvians are used to a big personal space. 56% of the country’s territory is covered by forests and there is definitely lots of space to go and just be by yourself. Latvia has a land border with Estonia, Russia, Belarus and Lithuania. 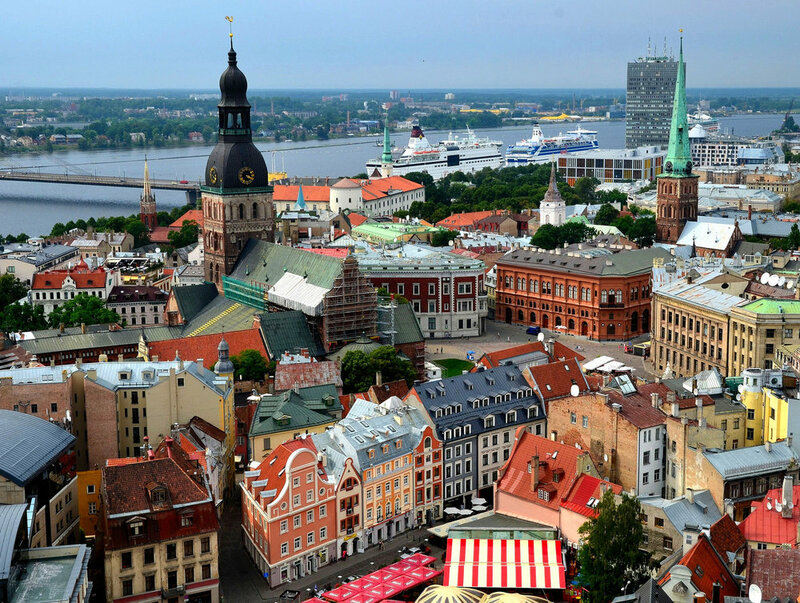 Our capital city Riga, a former Hanseatic League member, was founded in 1201 and its historic centre “Old Riga” is a UNESCO World Heritage site. It is also recognized by UNESCO that Riga has the finest collections of Art Nouveau (Jugendstil) buildings in Europe. We call this part of city a “quiet centre”, because it is mostly a residential area with a lot of embassies. 2018 is a very important year for us since Latvia celebrates its 100-year anniversary! It was established as an independent country on 18 November, 1918 and, although there was Soviet occupation after the Second World War for several decades, all three Baltic States managed to keep their legitimate powers in exile. For us the Latvian language is important. Long ago there were many Baltic languages, for example, Old Prussian, Semigallian, Galindian and Selonian but only two of them exist today, Latvian and Lithuanian. Historians say that Baltic languages are one of the oldest of the remaining Indo-European languages and we feel responsible for keeping Latvian alive for many more centuries. There are many reasons why people like to go to Latvia. One in particular is Nature. There are many possibilities for recreation, bio/organic food, silence therapy, open-air sport activities and more! And don’t forget about the forests covering more than half of the territory, with over 12,500 rivers, 3,000 lakes and the Baltic Sea within the Gulf of Riga. Yes, we are rich with water. We are used to going swimming after a hot summer day, which literally means - every day. Many tourists, though, find our summers not very hot and the water colder than expected, but it is a northern country. Latvia has the widest waterfall in Europe – Venta Rapid in Kuldīga which has a free natural spa underneath, and 500 km of sandy seaside beaches to walk along or lie down on. You can easily find a place where nobody disturbs you – with just you, the sea and the sand. Very relaxing, believe me! When you are close to the Baltic Sea, look for freshly smoked local sea fish - definitely worth tasting. You may have heard of the Amber Road which passes through the Eastern edge of Austria but you may not realise that the Baltic Sea is called the Amber Sea. It is true – wait until a big wind blows and then go to the seaside and look around. Indeed, there it is - amber, sand and amber again! Feel free to collect it, it is our northern gold. I would say it is even more beautiful. Only amber from the Baltic Sea contains amber acid [called also succinic acid], which is really good for health. Already in ancient times people recognised it and it was transported to the Mediterranean on the Amber road. Latvia’s flag is divided in three coloured stripes: carmine-red – white – carmine-red. The current flag design has been in use without any changes since 1280 and that makes it the second oldest in the world (only Denmark’s has been around for longer). Very often it is mixed up with an Austrian flag, but there are differences both in colours and proportions. The legend about the colours is the same – human blood on white background. Obviously, however, Latvians and Austrians have different colours of blood!! All in all, I hope I managed to raise some interest about my country – Latvia. You are most welcome to visit! And an additional incentive for those male readers who will read this article - Latvia produces more female models per capita than almost any other country in the world. Estonia is a small country in Northern Europe bordering Finland, Sweden, Latvia and Russia. To the north and west, surrounded by the Baltic Sea and, along the east bordered by the Peipsi Lake, Europe`s 5th biggest lake, Estonia is one of the least populated countries in Europe and one that is full of natural beauty, having a territory of 45,000 km2, (the size of Denmark) but only 1.3 million inhabitants. There are plenty of unspoilt areas to retreat to along the main shoreline plus the 1500 islands, many of which are uninhabited, with the two main islands, Saaremaa and Hiiumaa, being most popular. In addition, the forests and wetlands of middle Estonia or the hilly countryside on the south, where the highest point in the Baltics, proudly called Suur Munamägi (Big Eggmountain) 318 meters high, provide different environments for nature lovers. The weather is pleasant in summer, around 20-25 degrees C, but can be as cold as cold as -25 degrees C in January or February. The Estonian language, belonging to the group Finno-Ugric languages, is closely related to Finnish and, with its 14 cases as with Finnish, can be a challenge. Russian is widely spoken as well, as only about 70 % of the population is Estonian with 30 % “Russian speaking “with actual Russians making up 25%. In some places, like the capital Tallinn or North-Eastern Estonia the percentage of non- Estonians is noticeably higher. The reason lies in our history. Ancient Estonian tribes have been living in the area since 9000 BC, but, with Christianity arriving in the 13th century via the crusaders, there began a long period of foreign rule, firstly German and Danish, then Swedish and Russian. Estonia first became an independent Republic in 1918, so this year we are celebrating our 100th anniversary of the Republic. De facto, of course the Soviet Union occupied Estonia after World War II, but de jure Estonia`s state continuity was preserved by the government in exile, recognized by many western governments, including the USA. Estonia regained its independence in 1991 after the fall of the Soviet Union. Of course different rulers left their influence and imprint on the country and the people, but it was the Soviet occupation for almost 50 years with its resettlements of people of other areas of the Soviet Union that reduced the percentage of Estonians in their own country from 90% in 1939 to 61% in 1989. Sometimes I have been asked, given all the history, how did Estonians manage to survive? Estonians feel very strongly about their heritage and traditions. I think that this unites the families to come together at Christmas and eat our traditional food of blood sausages, sauerkraut and potatoes or light the bonfires and celebrate Midsummer. The capital city of Tallinn, with its beautiful medieval old town, has 450,000 residents, but is empty of people, except tourists, on June 23rd as everybody leaves for the countryside to celebrate Midsummer with family and friends. Every five years the whole country comes together to celebrate the Song and Dance Festival. The tradition goes back 150 years, when several, then male, choirs came together in the university city of Tartu to sing patriotic songs in peaceful protest against the tsarist Russian rule. Ever since, also during the Soviet times, every five years some 10,000 dancers and about 300,000 singers gather together at the Song Festival Grounds with over 100, 000 people watching and singing along. Estonians love to sing. There is a saying that where three Estonians come together, there is a choir. Perhaps you have heard of the Singing Revolution? In 1987-1991, hundreds of thousands gathered together for spontaneous Song Festivals to sing patriotic songs in protest against Soviet rule, demanding independence. The high point of the Singing Revolution was the “Baltic Chain” in August 1989, when about 2 million people formed a human chain of 675 kilometers from Tallinn to Vilnius, holding hands and singing.This sign of unity did much to help the fall of the Soviet control of our country. Once you have strong identity and roots, you can build on it. And Estonia has done so in the last 27 years, being one of the fastest growing economies in Europe through the 1990s and 2000s. The GDP per capita has tripled from 1993 to 2017 and the average monthly salary has doubled in last 11 years. Estonia, a member of the EU and NATO since 2004, joined the Eurozone in 2011 and ranks highly in the Human development index, which weighs indicators such as income, education and life expectancy (30th in the world in 2018, in comparison, USA ranks 13th and Austria 20th). And in the PISA Test which measures the skills of 15-year old students, our students have caught up with the world front runners from Finland and even passed them in the category of science in 2015. Estonia also scores highly in international measurements of economic and civil liberties and press freedom. 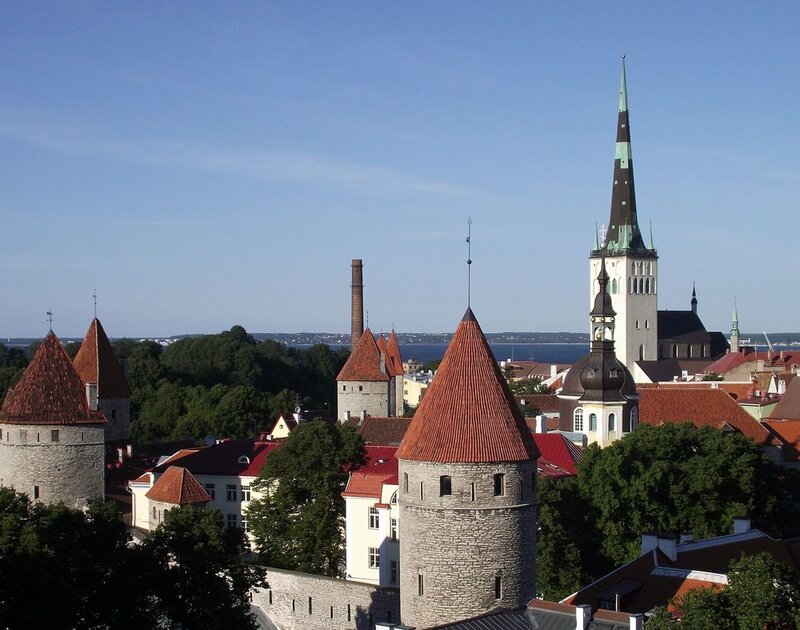 Known as a home of Skype, a free Internet communication tool for calls and chats, Estonia is one of the most digitally advanced countries in the world. An e-government concept, developed in early 2000s, has resulted in 99% of public services being available online today. It is not a joke that you can register a company in Estonia in 10 minutes. We were the first country to hold elections over the internet in 2005 and currently around 30 % of Estonians vote online. In 2014, Estonia introduced the unique in the world concept of e-residency, a transnational digital identity card that enables access to Estonian public e-services and therefore we are able to do business from anywhere in the world. The first e-resident of Estonia was the British journalist, Edward Lucas, and one of the last ones, in September 2018, was Pope Francis. Now, of course, not everything is perfect, there are plenty of challenges too: income levels, although rapidly growing, are still only about 70 % of EU average and the regional differences in incomes between the cities and the countryside particularly,remain a problem. The pensions for elderly are still too low and the inequality in pay for man and women too large, but holding together, like we do at our Song Festivals, these challenges are manageable. Estonia has come a long way in last quarter of the century, we just have to keep going. Although born in Vienna, I lived in Germany, Switzerland and Austria for the first years of my life. After these years of unrest, I finally found a real home in Philadelphia at the age of nine. However, with an Austrian mother I never felt entirely American, and in my early twenties I gave in to my nomadic tendencies and moved to Rome. Later, I began to feel curious about life in Russia, since I had begun to immerse myself in the splendid literature that was created in that country. Perhaps I was naïve, but I was convinced that life in Russia would be adventurous, and so I packed my suitcase and travelled to St. Petersburg where I studied Russian for about a year. After returning to Philadelphia, I once again packed my suitcase sixteen years ago to return to the city of my birth. In essence, up until my move to Vienna, my life was a struggle between leaving cities and returning to them. As the granddaughter of a Jewish Viennese psychoanalyst, I became interested in Freud’s writings shortly after my move to Vienna. However, my international background also influenced me in my decision to become a psychoanalytically oriented psychotherapist. Although my numerous moves caused me to endure many hardships, they also helped me to better understand cultural as well as individual differences. They taught me not to overestimate my ability to understand foreign cultures and people. With a broadened horizon, I became fully aware of the individuality of human suffering. Working with patients has taught me how diverse approaches to life and ways of thinking about one’s personal history really are. I believe that psychotherapy can be compared to a journey that not only reveals a new way of relating to one’s past, but also helps discover new ways of integrating previous experiences into the present. It is a process of learning not only for the client, but for the therapist as well. Although my family was originally from countries that belonged to the Austro-Hungarian Empire, and Vienna is now my final home, I have come to realize that I need a connection with other English-speaking women. When I found out about AWA from an elderly lady who was once a member, I decided to join. What I like most about AWA is the great diversity of the members’ cultural backgrounds. Thanks to AWA for offering such an opportunity! Vienna. This city on the Danube is a part of my soul. My roots run deep here. This is where I was born, though I grew up shuttling two hours by train along the Hudson River between my father’s home in New York City and my mother’s in Hyde Park, NY, FDR’s hometown. I spent my junior year abroad in Vienna and returned here 10 days after graduating from Skidmore College with a BA in German and English. I started out teaching English and doing translations (I also took courses at Webster University here) before following in the journalistic footsteps of my father and his father before him. I was blessed with wonderful mentors who helped me get started freelancing, which led to a job at The Associated Press. I worked for the AP here for 10 years, also covering Eastern Europe and the Balkans during the fall of the Wall and the wars in former Yugoslavia. I was a member of the AWA then and recently rejoined after returning to Vienna 20 years after I left to continue my journalistic career in Baltimore (with the AP), Washington (Voice of America) and, most recently, Germany (with Stars and Stripes). In 2007, I completed a Masters in Publications Design at the University of Baltimore. Late last year, I made the difficult decision to take a risk on making a fresh start. I quit my job and returned in February to the city I love with a passion. My desire to share that with others led me to the course to prepare for the rigorous exam required to be certified as a Vienna tour guide. The three-semester course began in September. In the Spring, I took a diploma course in Event Management, also at the career development school here, BFI. I said my roots run deep. My grandfather, Siegfried Weyr, wrote extensively about the city, its history, its legends, historical figures from all walks of life, famous and not. He, too, loved Vienna and returned immediately after the war. He, my father and grandmother spent the war years in London and the United States, finally settling in New York City. My father, Thomas Weyr, also has written about Vienna, how it suffered under Hitler and his memories of his childhood and his return as an adult after the war. My grandfather’s uncle, Rudolf von Weyr, was a sculptor whose works, including the lions in Nussdorf, are scattered about this city. My husband of 17 years, Mike, (also a former journalist, now retired) has supported me through every transition and allowed me to follow my own path. We have no children, but two cats. In between studying Vienna’s history, art and legends, I want to do some freelance editing, writing and translating, and to put my new event management skills to the test. I've been involved in AWA for so long, most people know who I am – but since we have so many new members, I'm delighted to introduce myself. I came to Vienna in 2006 from Washington, DC with my Austrian husband Friedl, our son Lucas and dog Daisy. I love this city and everything it has to offer. Our son will be leaving the nest next summer to study at an American university, and we'll always go back to my home country to visit family and friends, but Austria is our home now. When I arrived in Vienna, I spoke German and had several Austrian friends. My sister-in-law gave me a copy of Living in Vienna, so I knew about AWA, but I thought I could go full-immersion into Austrian assimilation. When I realized that I needed a connection with English-speaking women, I found my way to an AWA meeting in September 2007 and signed up to work on the team researching and writing the 2008 edition of Living in Vienna. I wound up being co-managing editor, and found a circle of international friends at AWA. I had the privilege of being AWA's Vice President for Programs (2008 – 2009) and then President (2010-2012). Through AWA, I got involved in FAWCO, the global network of American and international women's clubs with 64 member clubs in 34 countries representing around 12,000 women. I have been FAWCO's UN Rep in Vienna since 2012, and served as FAWCO Vice President for Global Issues from 2013 – 2015. I am now FAWCO's UN Liaison, leading a team of 14 UN Representatives in New York, Geneva, Vienna, Athens and Bonn. FAWCO is a UN-accredited NGO with consultative status to the UN Economic and Social Council (ECOSOC), so we can send delegations to UN conferences. Dedicated to improving the lives of women and girls, we focus on gender equality, women's empowerment, human rights and climate justice. I was born on United Nations Day and when I visited the UN in New York at the age of 7, it made a big impression on me. I did an internship at the UN Development Program in New York as a graduate student, and I applied to their management program, but they didn't hire any Americans for several years. Since I've wanted to work with the UN for as long as I can remember, my FAWCO work is the fulfillment of one of my life's dreams. I'm eternally grateful to AWA for leading me to FAWCO, and grateful for so many things in life!